Common sense these days has been thrown out the window, so we must reaffirm and defend basic truths. One such truth is that of human exceptionalism – humans are special and unique. But that truism is under attack today from various quarters, including the animal liberation brigade. Those arguing for animal rights have to of course deny that there is anything special or valuable about human beings. Thus the campaign to grant animals rights is really the campaign to dethrone man and disrobe him of any unique significance. 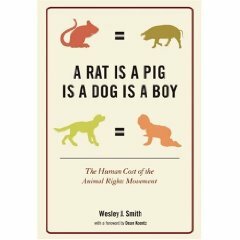 That is the argument of an important new book by Wesley Smith (A Rat is a Pig is a Dog is a Boy. Encounter Books, 2010). He makes the distinction between animal welfare and the animal rights movement. The former is something all of us should be supportive of. This has to do with the humane treatment of animals. But the latter is something we all should be quite worried about. What looks like a noble and worthwhile crusade is at bottom really an anti-human ideology. It is in fact “a belief system, an ideology, even a quasi religion, which both implicitly and explicitly seeks to create a moral equivalence between the value of human lives and those of animals”. 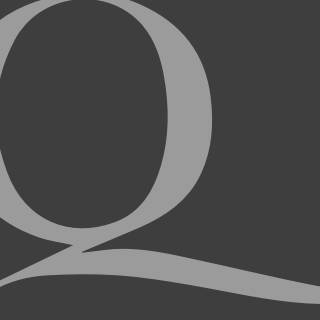 This movement is often extremist, utopian, and open to the use of violence. For those who are still trying to figure out the book title, it actually is a 1986 quote from the head of PETA, Ingrid Newkirk. She said all four are mammals – end of story. Medical research would be materially impeded. There would be no more fishing fleets, cattle ranches, leather shoes, steak barbecues, animal parks, bomb-sniffing or Seeing Eye dogs, wool coats, fish farms, horseback riding, pet stores… Millions of people would be thrown out of work, our enjoyment of life would be substantially diminished. Our welfare and prosperity reduced. Indeed, all domestication of animals would be taboo. There goes the family pet. And there goes human uniqueness and dignity. All in the name of a fanatical ideology which will even resort to threats of murder to achieve its aims. This book carefully documents the ideology, the tactics and the fanaticism of this growing movement. The thinking of philosopher Peter Singer was instrumental in all this. Although not specifically an animal rights campaigner himself, he did help to get the ball rolling with his influential 1975 volume, Animals Liberation. In it he argued that the interests of all animals should be granted “equal consideration” to those of people. Another utilitarian philosopher, the late Joseph Fletcher, was happy to take this sort of thinking to its logical conclusion, including promoting the idea that we should create human/ape chimera to do “dangerous or demeaning jobs”. And the already-mentioned PETA had a vegetarian campaign which was called, “Holocaust on Your Plate”. Yep, you got it. To chomp into that T-bone on your plate is the moral equivalent of gassing Jews in the concentration camps. Prof Gary Francione is another radical animal rights campaigner who insists that no animal can ever be owned by humans for whatever reason. No pets, no guide dogs, no zoos, no nothing. It is all morally wrong and must be fully eradicated he insists. Philosopher Tom Regan, like Singer, is against “speciesism”. To argue that one species is greater or more valuable than another is akin to racism and anti-Semitism. Like Singer, he believes that some animals have more rights than humans do. He differs from Singer in being against human infanticide however. Singer fully supports it. It is not just various intellectuals and academics who are pushing all this. Many activist groups are especially targeting children and schools. They seek to convince young children that all domestication of animals is evil, and they must rise up and act now. For example there are “PETA Comics”. One is entitled, “Your Mommy KILLS Animals!” In full colour it depicts an evil looking mother knifing a rabbit to death, with blood and gore splattered all over the page. These sorts of fear campaigns and propaganda exercises are found in schools all around North America. This important volume also documents the growing use of coercion, bombings, terror, violence and even death threats by some of these campaigners. There are numerous groups, such as the Animal Liberation Front, and the Environmental Liberation Front, which have been quite happy to resort to any tactics to achieve their ends. ALF trainees for example are instructed on how to commit acts of sabotage and terror. They are taught how to make bombs, burn down buildings, and trash research facilities. They are told how not to leave any evidence behind, and how to maintain internal security to weed out detection. Smith also looks at the validity and necessity of much animal research and testing. For example, all sorts of invaluable pain relief which we take for granted today only came about because of prior animal testing. All sorts of cures, remedies, vaccines and treatments for numerous diseases and ailments, including AIDS, has and is being developed because of animal research. He of course recognises that regulations and safeguards have their role in such research. This is already in place. For example, the US Animal Welfare Act mandates the use of drugs to relieve pain and suffering in such animals. A lot of effort and expense is exerted to ensure the humane treatment of animals. Smith concludes by affirming human uniqueness, and how rights are in fact a distinctly human concept that can apply only to humans. Only humans possess moral autonomy. Seeking to include animals in the area of rights “would degrade the importance of rights altogether, just as wild inflation devalues money”. Given that Switzerland is now talking about “plant rights” it is time that we started thinking clearly and soberly about what rights really mean, and why in fact humans are unique. At the same time we can and should ensure proper animal welfare. Smith gets this balance right here. With so much irrationality and emotion being generated on this issue, the cool-headed logic and common sense of Smith is a welcome relief.